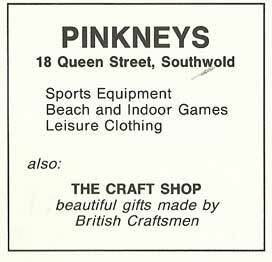 Christopher Rowan-Robinson opens 'Pinkneys' sports equipment shop this year. 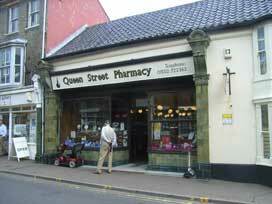 In recent years he has been running a school in Yorkshire but before that, he owned the Sole Bay Bookshop at No 82 High Street. Soon after starting 'Pinkneys' he also opens a small, second-hand bookshop in the Pinkney's Lane corner of the same address (ie to the right of the shop front). 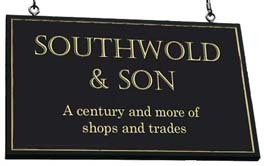 See also No 70 and 80a High Street for his other shops. 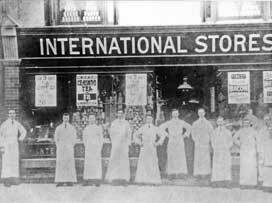 The staff of International Stores. Date not known but probably in the 1910s. Image courtesy of Bharat Patel. 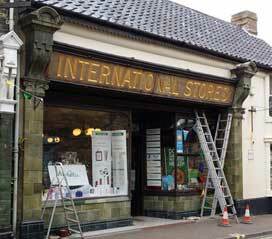 The original fascia was momentarily uncovered on Friday 3rd July 2015 during refurbishment. Thanks to Linda Rhodes for capturing this. 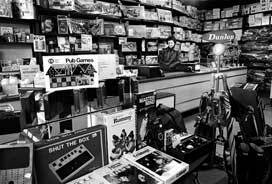 Ann Lawson in her toyshop, 'Pinkneys' photograhed in the mid 80s.